How often can one family go to Disneyworld? We may be in the process of finding out. We live quite close to Disney’s massive expanse of property here in central Florida, and Yvonne got the family annual passes to the parks even before I arrived back from France! So we tend to hit up a Disney theme park at least once a week. 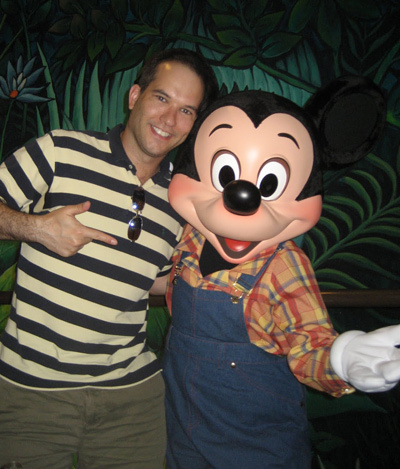 Part of the fun of living so close to Disneyworld is letting yourself get wrapped up in it. We’ve got Disney “cast members” for neighbors, participate in many of the runs that Disney hosts, and often go for walks along the Disney boardwalk or at Downtown Disney. 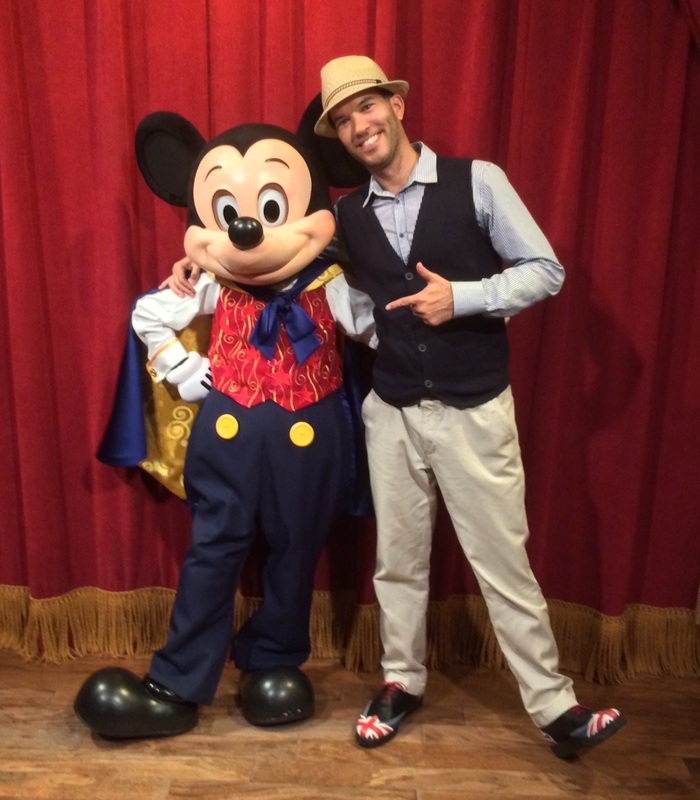 March 9th, 2014 was Dapper Day at the Magic Kingdom. The idea is to dress dapper for an outing to the park… the way a family might have dressed for a day out at Disneyland in California when it first opened in 1955. We didn’t have a whole ton of clothes that looked like they were from the 1950s, but that didn’t stop us from dressing up to the best of our abilities for the day and parading around the park a bit. Amelia and Callum with Snow White on Dapper Day. 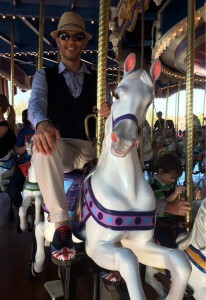 Me riding the carousel on Dapper Day. 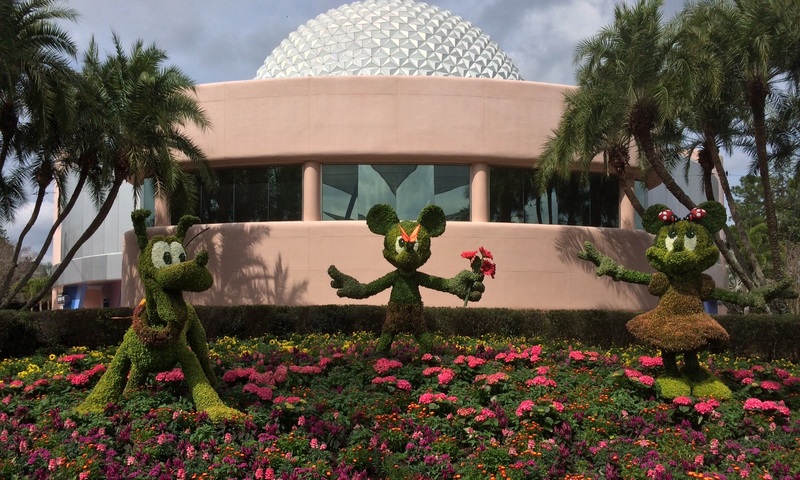 Currently, the International Flower and Garden Festival for 2014 is taking place at Epcot. Callum is really into plants – he cares for quite a few of his own, and loves to learn about the various varieties of plants and how to grow them. It’s fun to visit Epcot during the festival to see the various character topiaries and to check out the different types of food they’ve got available (like the Dole Whip at the Pineapple Promenade, for example). The topiaries behind Spaceship Earth at the Flower and Garden Festival. 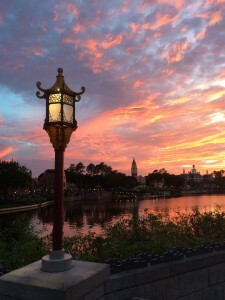 I managed to catch a really nice sunset at the World Showcase. I think this was right next to the China pavilion. 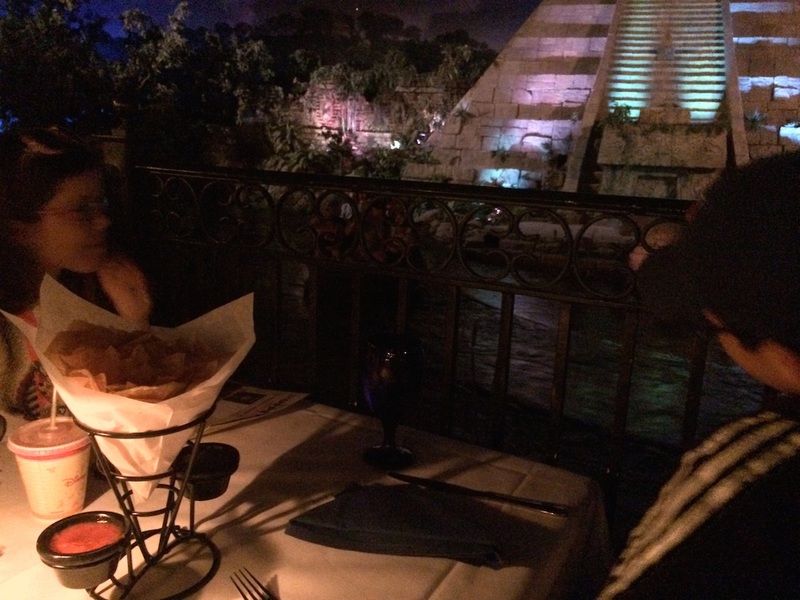 Waving at people passing by at the San Angel Inn Restaurante. 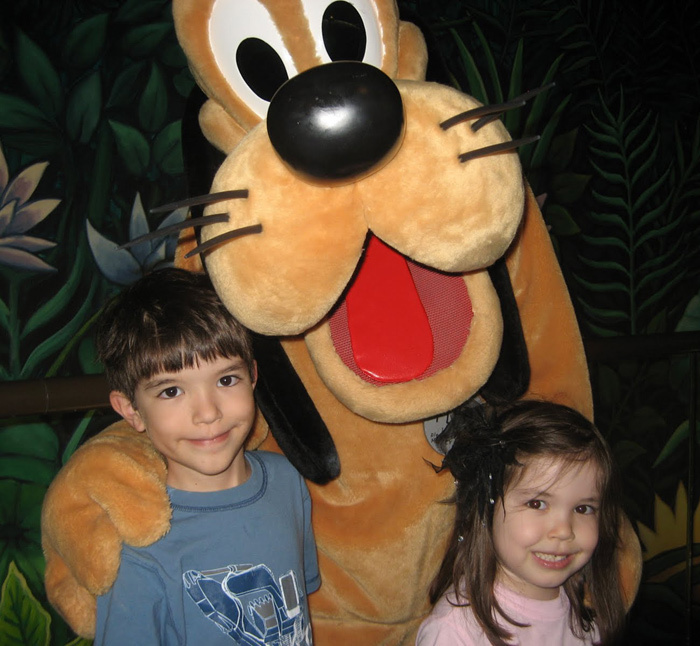 Callum and Amelia with Pluto. I don’t even remember where this was from. Amelia in front of the Hollywood Studios Sorcerer Mickey hat. 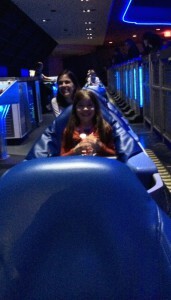 Amelia rode Space Mountain for the first time. She was brave enough to do it, but I don’t think she liked it very much! 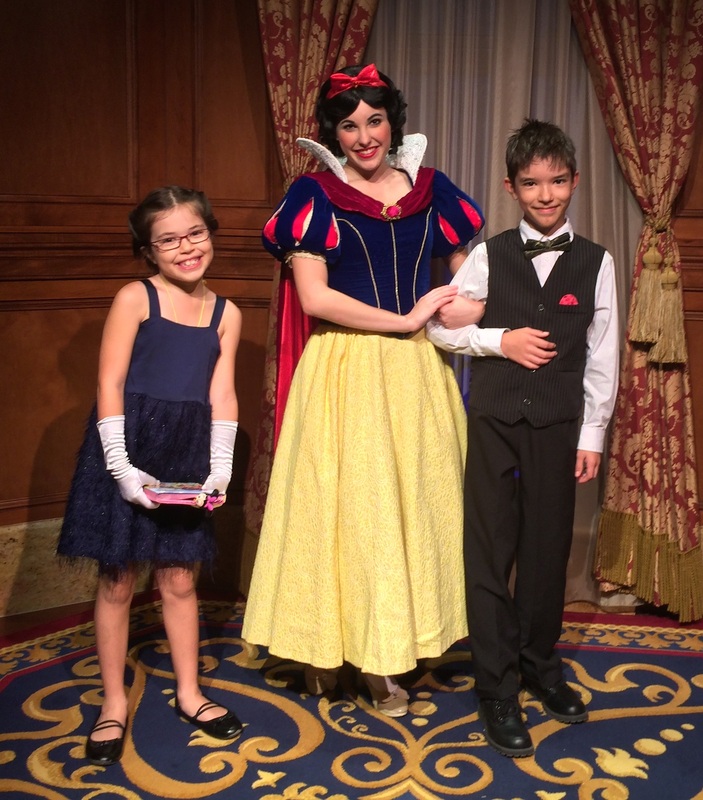 last week we returned to Disneyworld for a week – the first time around we bought annual passes (which are much cheaper in the long run if you plan to go to the theme parks for more than a few days), so this time around it was almost somewhat economical! one of the highlights of our trip was visiting my sister Linda and her family in Tampa; we went trick-or-treating with my sister, her husband and their kids in their suburban neighborhood. My parents also came by for the occasion, visiting from Ellenton, somewhat south of Tampa and just north of Bradenton, where they spend their winters. It was very fun! Callum went as Luke Skywalker (Yvonne sewed his outfit for him), while Mia dressed as, yes, Darth Vader. 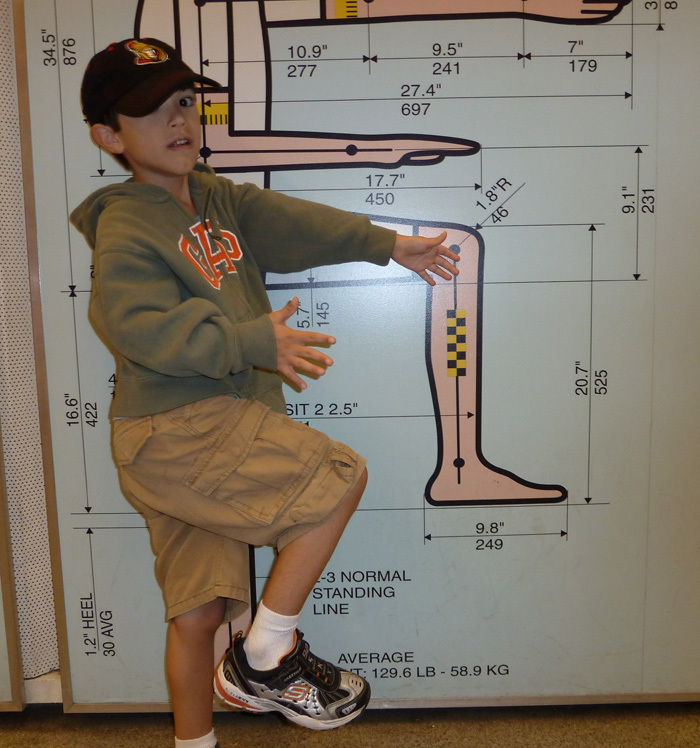 Callum in the line for the Test Track ride at Epcot, being a dummy. And by dummy I mean crash test dummy. four of us on the Expedition Everest roller coaster at the Animal Kingdom. If you look closely you can see me in the dark red shirt raising the roof near the middle of the coaster with Callum to my right, and Yvonne and Mia behind us. 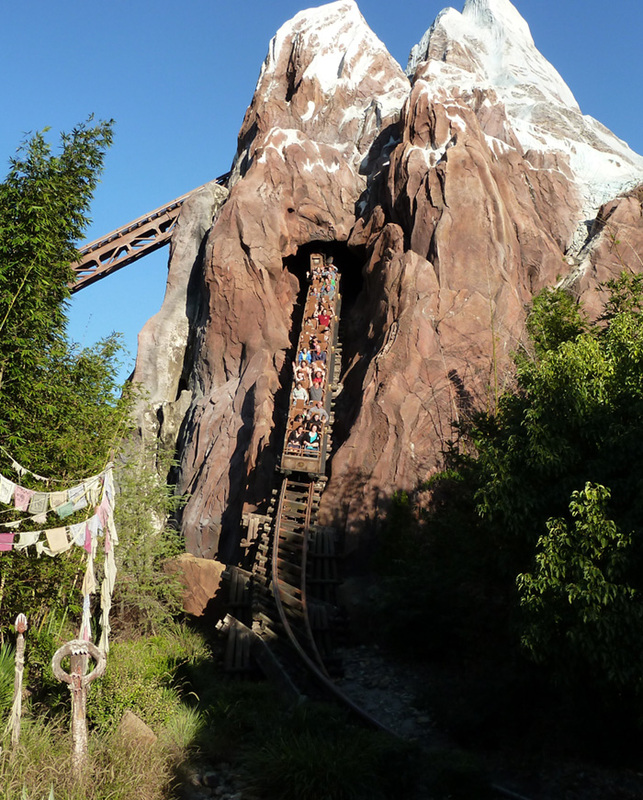 Mia, who is 5, had a love-hate relationship with Expedition Everest. 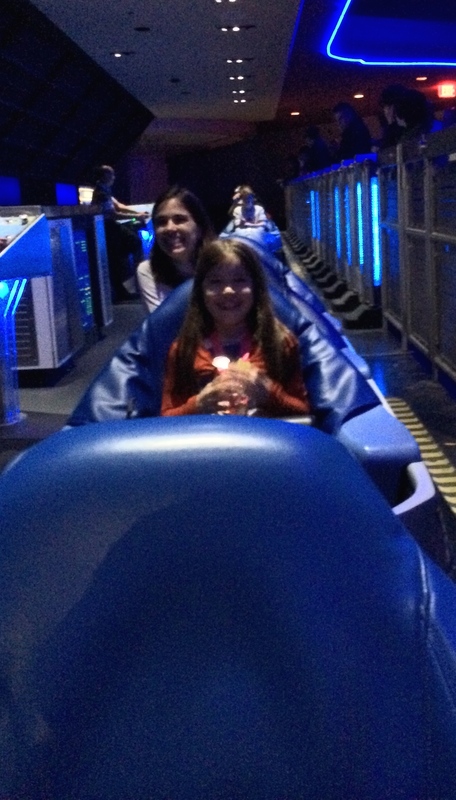 She rode on it, cried throughout the whole second half of the ride… then wanted to go on it again. Again she cried and said she didn’t like it, but afterward wanted to go on it a third time. After the third time she was done! Callum on the other hand couldn’t get enough of the roller coasters – he loved Space Mountain as well! Next time we go (though who knows when that will be) we’ll have to get him on the Rock ‘n’ Roller Coaster at the Hollywood (formerly Disney MGM) Studios. Though I don’t know if we’ll be able to get Mia to go on that one, and she certainly won’t be riding “that scary elevator ride”. 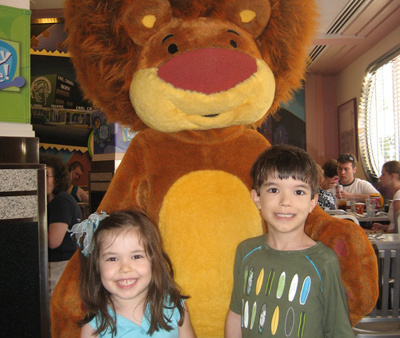 the week before we took the family to Disneyworld. It was of course pretty fun, and everyone had a great time. 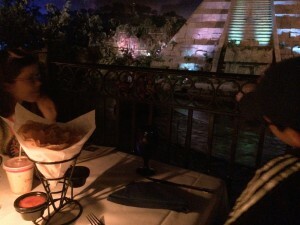 Some of the highlights included riding the monorail around and around, meeting up with my sister (who lives in Tampa) and her daughter, doing the Princess dinner at Norway in the World Showcase at Epcot, and eating at a variety of character dinners. We also went on a whole bunch of rides – Callum really liked Expedition Everest, the roller coaster that features the elusive yeti. 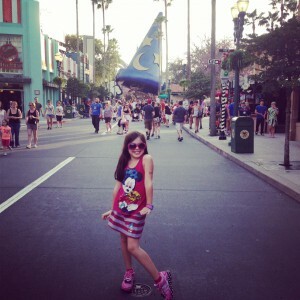 Mia, on the other hand, wasn’t so keen on the Tower of Terror or Splash Mountain. Maybe in a few years. 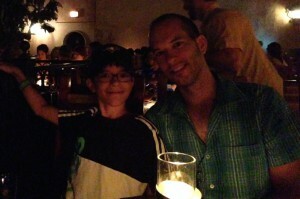 a personal highlight was watching the International Space Station pass over central Florida on April 28th. I wasn’t quite sure what to expect, having never seen it, but I certainly didn’t expect it would be so bright and clear. I waved; not sure if anybody up there waved back. of course we took a bunch of pictures while we were there, and so of course I’m going to post a few here (clicking on them makes them bigger). Obligatory picture of me hanging with Mickey Mouse. Looks like he’s about to do some farming. 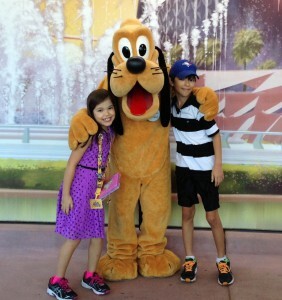 Callum, Von, and Mia hanging out at Disneyworld. Oh no wait, that’s not Von, that’s Pluto. 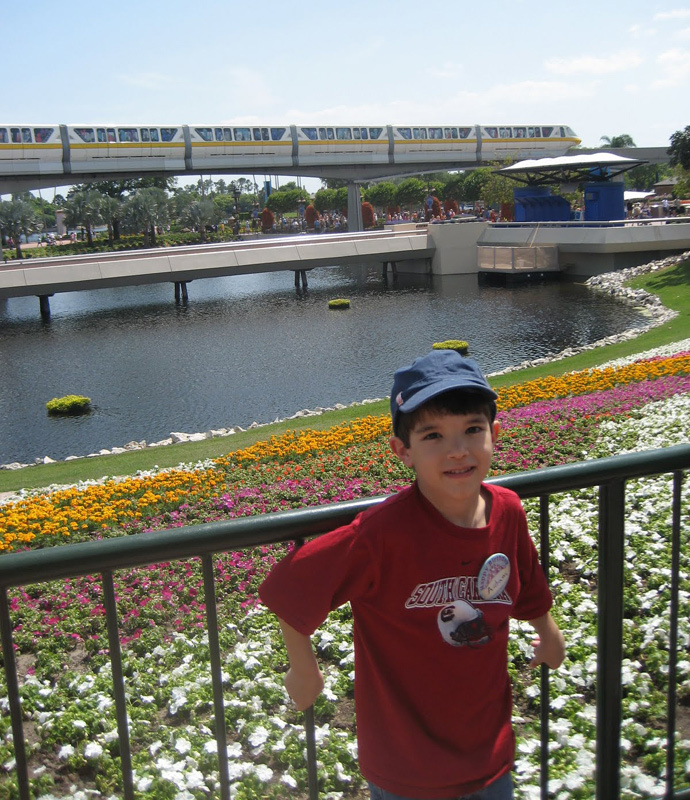 Callum and one of his favorite things – the Disneyworld monorail. Callum actually loves monorails even outside of Disneyworld… one of his favorite movies (perhaps tied with the first Harry Potter movie for first place) is a documentary called High Tech Monorails. 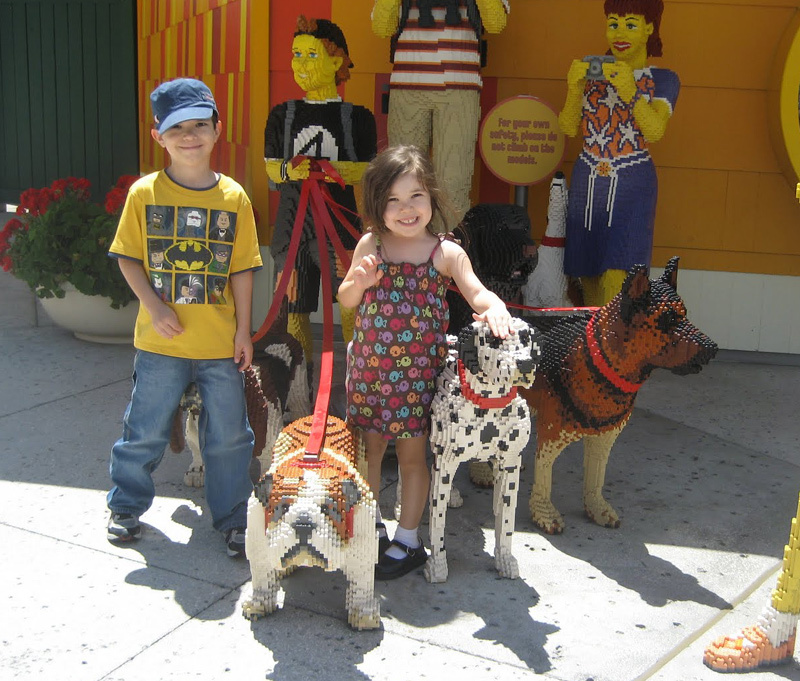 The kids outside the LEGO store at the Disney Marketplace. Those aren’t real dogs. They’re made of LEGO. FYI. Callum and Mia with Goliath from JoJo’s Circus. If you don’t know what JoJo’s Circus is that’s probably okay. 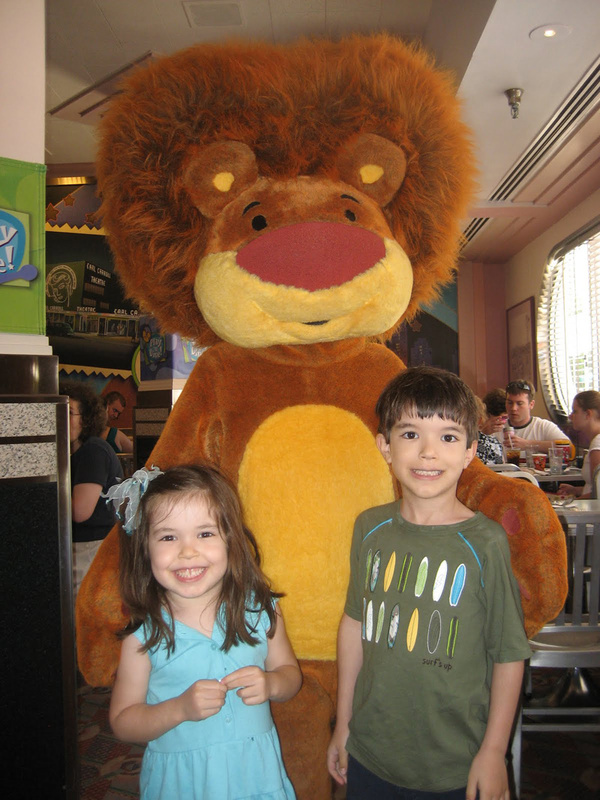 I almost got into a fight with Goliath because I kept calling him “Dudester the Lion”. Well okay that’s not really true, but that would have been pretty funny.